If early February has a theme it’s GET IN THE GAME. 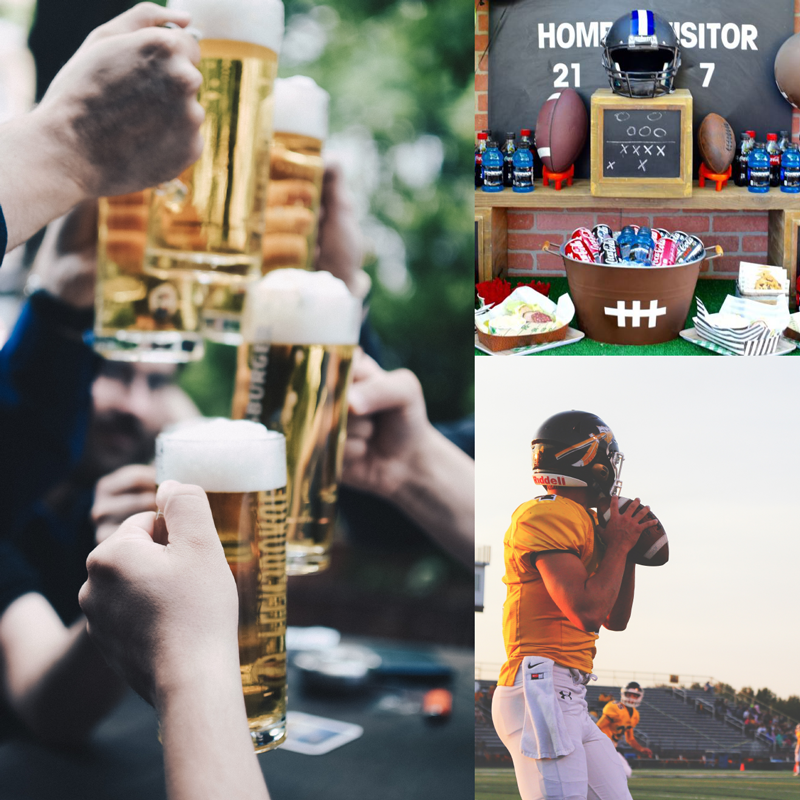 The Super Bowl is the perfect way to kick off a few weeks of decadents eats—the perfect way to supercharge you and your guests’ competitive spirit. TOUCHDOWN! When the temperature drops it’s all about comfort food. And given the Big Game happens this month, it’s the perfect combination—would it really be a Super Bowl party without the wings and dips and dogs? Exactly… But the amazing eats don’t have to end after the last touchdown. Keep the comfort food theme going all month by serving up warm, cozy meals, sweets and sips, no matter who or what you’re hosting. The best part? Often these dishes are easy to whip up, or can simply pop into your crockpot and go. 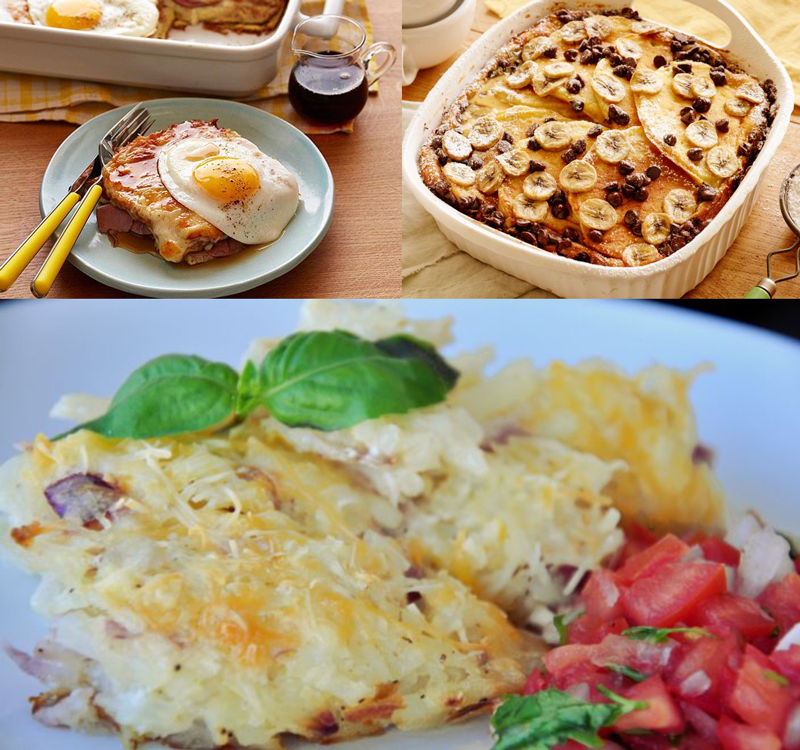 Our favorites—and the perfect comfort foods to anchor a February get-together in? So don’t worry about adhering to these parties. Even one of these dishes is cause enough for a celebration, whether it’s an impromptu potluck, last-minute drop-in or family dinner. Cheers! Foodies and football fans unite for this once-a-year celebration to crown the best team—and the greatest eats around. Why change a good—no, a great—thing? 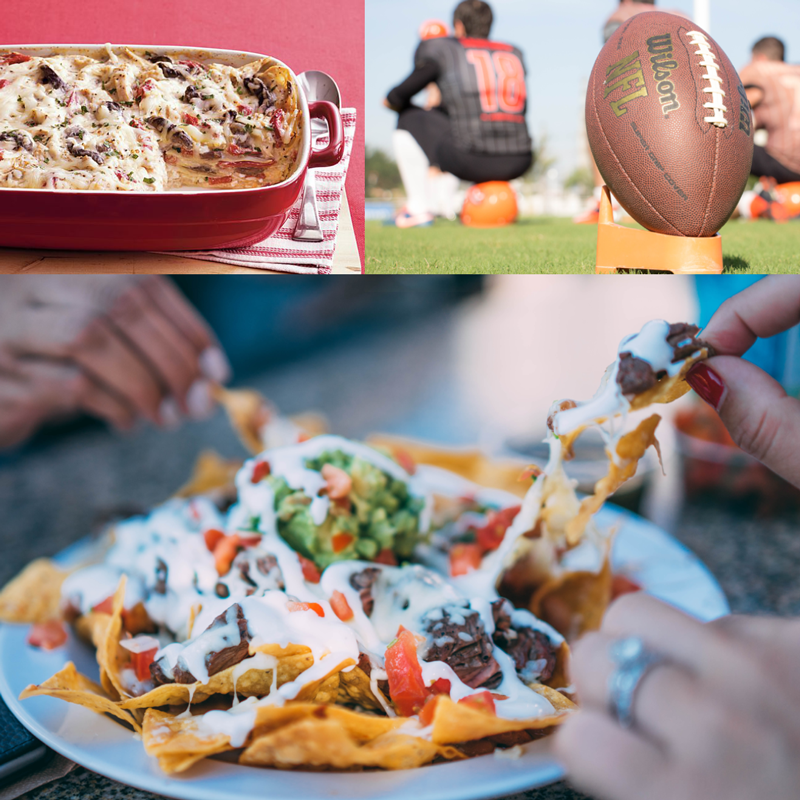 Super Bowl Sunday is an incredible opportunity to whip up your favorite game day favorites, then kick back, relax and enjoy the festivities. Don’t overthink this one, a simple way to liven up the look is with these Multi-colored lanterns, light the food table up or place by the bar and you’re set! If you have amazing food and a TV, you’re good to go on Super Bowl Sunday. So invite family, friends, colleagues, neighbors and any football (or foodie!) fan looking for a good time. Anything that involves BEER—as in cooking with BEER. Think Gouda Fondue, Slow-Cooked Doppelbock BBQ Meatballs and Chicken Wings with Bacon BBQ Sauce, or any other beer-centric comfort foods. Want to REALLY go for it? 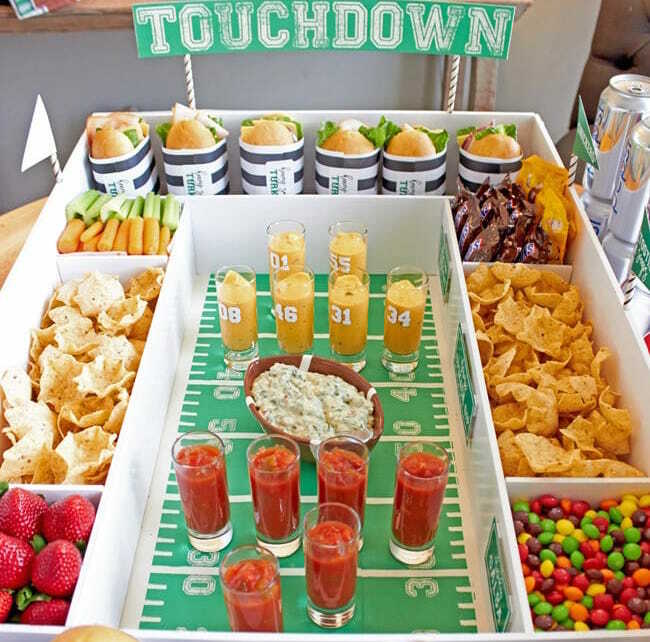 Check out this build your own SNACKadium, the ULTIMATE Super Bowl snack. Does it take awhile? Yes—definitely grab a friend to help with the stadium construction. But is it worth it, and will it keep your guests full from the first down to the final touchdown? You bet. Halftime touch football is a great way to get guests up and moving...then back in their seats for all the action. The rules are simple—five to 10 minutes of all out touch football madness, then back inside in time for the halftime show. Will you burn off all the nachos? Nope. But will someone walk away with touch football glory? Absolutely. Super Bowl Commercial Bingo is perfect for football fans and non-fans alike. Print up these bingo sheets, then watch for companies and brands. First one to BINGO wins! Want to up the food and the fun? Consider making your Super Bowl Sunday a competitive potluck. Ask guests to bring their all-star game day dish, then print up scorecards so guests can (anonymously!) rate their favorites. At the end of the game, the best dish goes home with the big prize—some fun football gear, a “trophy” or, simply, the satisfaction of knowing they rocked Super Bowl Sunday. Make sure your guests know the rules: comfort food and comfortable attire. This isn’t some stuffy, stuck up brunch. This is comfort food at its finest—and most fun. Encourage guests to come comfy—sweatpants, sweaters and flannel bottoms are great, PJs, slippers and wool socks are even better. Consider whipping up the mains and sides and asking guests to bring the add-ons—mimosa essentials, for example, or a decadent dessert to cap off the event. 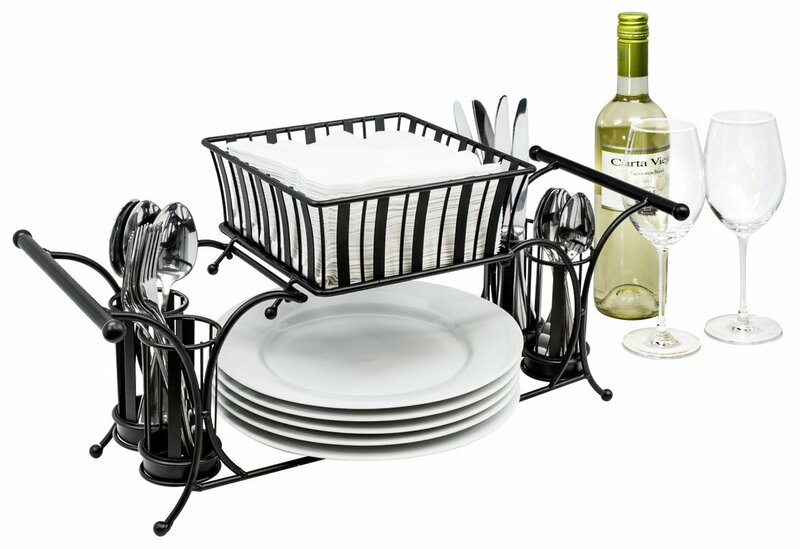 To make serving easier, consider setting your dishes up buffet-style, with this Sorbus Utensil Caddy at the head. This easy-to-use caddy holds everything you and your guests need—plates, napkins and utensils, for starters—and makes self-serving (and clean up!) even easier. What’s even better than brunch today? Sending guests home with something equally crave-worthy for tomorrow. Round up some mason jars and load them with snacks, ingredients or other delicious bites they can enjoy the next day.